MANILA, Philippines - Just as Pinoy hoop junkies thought that Tanduay Alab Pilipinas’ Asean Basketball League (ABL) season is almost over due to losing skids, a ray of hope has finally been seen as 2 prolific PBA imports are set to debut with the nationals couple of days from now. 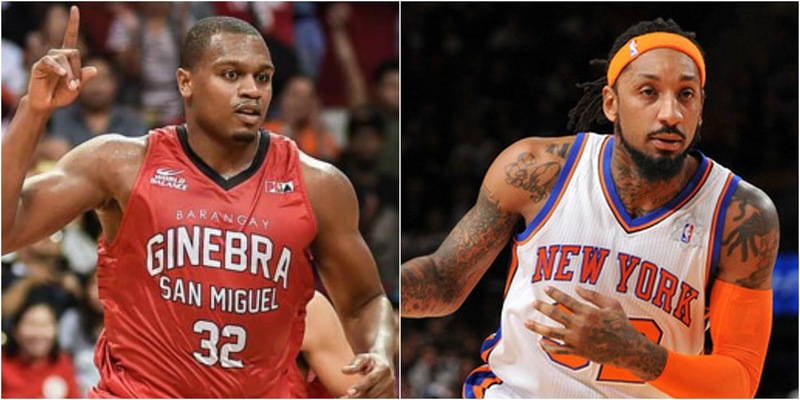 Ginebra import Justin Brownlee and NBA veteran Renaldo Balkman to play for Alab Pilipinas in ABL. Basketball agent, Ms. Sheryl Reyes greeted the Filipino basketball community a warm happy new year with a stunning revelation. Reyes posted on her Facebook account that her international players Justin Brownlee and Renaldo Balkman are flying to the country to reinforce the Philippine team in the ABL. Justin Brownlee who steered Barangay Ginebra in its back-to-back Governors’ Cup titles along side with NBA veteran and ex-Petron Blaze Boosters import, Renaldo Balkman will be replacing Ivan Johnson and Reggie Okosa in hope to revive Philippines’ ABL team standings. The new Alab reinforcements will be arriving in the Philippines on January 3 and will immediately suit-up for Philippines’ first home game of the year against Westports Malaysia Dragons at 8 p.m. in San Juan Coliseum. Tanduay Alab Pilipinas is hurting with a 1-3 awful win-loss record and currently positioned at the 7th place. Brownlee’s scoring prowess will be a great boost for the Filipino cagers while Balkman’s hefty presence underneath the basket will be a big threat for other team’s big men and imports. Renaldo Balkman expressed his excitement to play in the Philippines once again after getting a sanction from the PBA Commissioner’s Office 5 years ago after a physical altercation with teammate Arwind Santos and Assistant Coach Biboy Ravanes when he was playing for the Petron Blaze Boosters. Justin Brownlee, who’s no longer a stranger to Filipino basketball fans especially to the “Never Say Die - Ginebra” community will once again show his love by bringing his A Game in every Alab outing and hopefully in Ginebra Jersey anew after the ABL season. If everything goes well for Alab Pilipinas, the Filipino ballers together with Brownlee and Balkman will have a chance to play Hong Kong Eastern Basketball again in the playoffs after the latter dominated Alab twice late in 2017.